Are you planning a wedding? If yes, do not forget that you should also create and use wedding place cards for the wedding reception. This article will provide comprehensive information on why you should use wedding place card templates and let you choose among 15 real-life examples of these printable card templates. What is a place card? 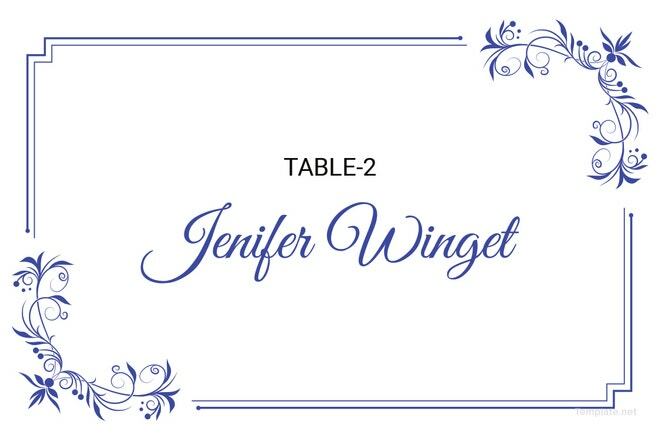 Place cards are small cards printed with an individual’s name and assigned seat or table for any formal dinner or event. These cards typically look like a business card that is propped up to stand on its own. They measure about 2 1/2 inches by 3 1/2 inches. Place cards used during wedding receptions are called wedding place cards. These types of place cards will usually follow the motif or design theme chosen by the bride and groom for the wedding. 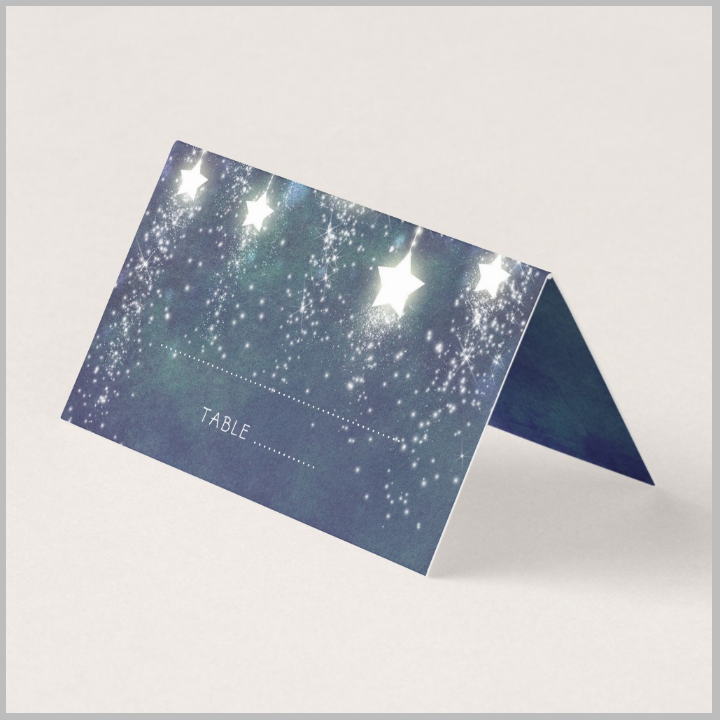 Use the Blue Stars Wedding Place Card Template if you want a place card that will still appear well under darker dinner lighting. When this place card with a dark blue and white color scheme is printed on luminous card stock, it will truly and literally shine during wedding receptions held at night. In this place card template, wedding planners will only need to write down the names of the guests and their corresponding table number. To make the place cards more elegant-looking, wedding planners may need to use stick-on calligraphy letters or ask someone to manually write out the names in calligraphy or cursive font. The Chalkboard Wedding Place Card Template embedded above is part of a complementary wedding invitation set. You may still use this wedding place card design separately if you prefer. This place card template will work well with most weddings that follow a chalkboard design motif. 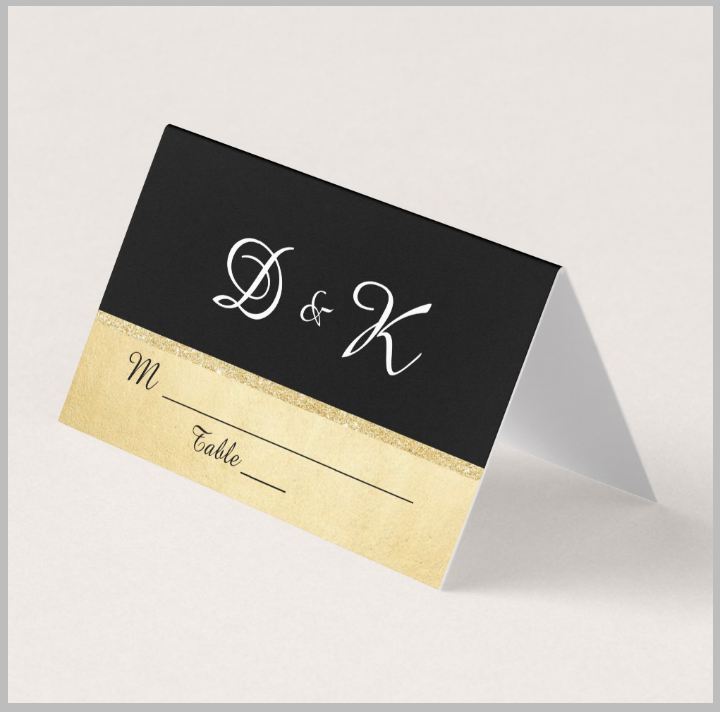 This place card is best printed on dark-colored card stock or premium paper so that the chalkboard font will be emphasized. For those who are following a minimalist style wedding motif, try out the Cursive Typography Wedding Place Card Template. 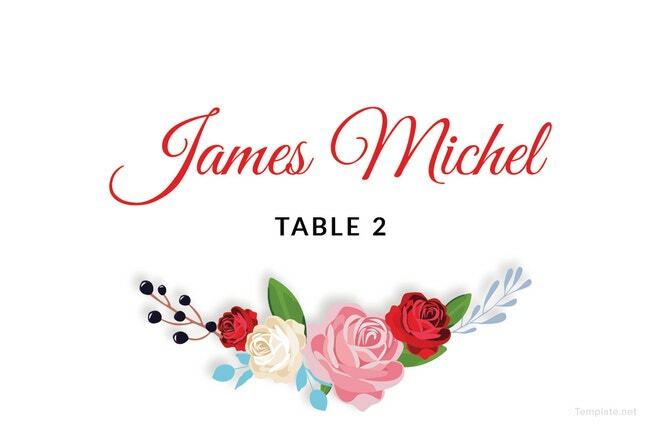 As pictured above, this place card template only showcases the printing of the table number and guest name in elegant typography against a white background. To maintain the same level of minimalism while still following your wedding’s theme color, you may change the font color to match your wedding motif. Since this place card looks like a minimalist business card design, it can easily be recreated on your own. However, make sure to add space on the pattern to act as the back or support leg of the card design. This way, you are assured that the place card will stand on its own and will be noticeable to wedding dinner guests. The Editable Wedding Place Card Template is another wedding card template that follows the structure of most traditional place cards. It features only the guest name and their table number. 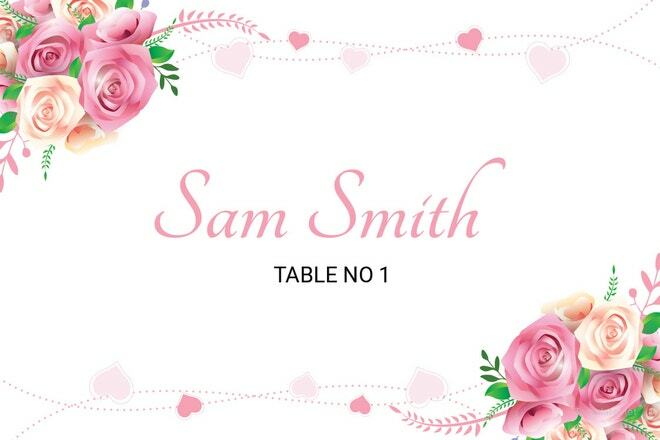 In this case, the wedding place card is fully editable which means that you may change the font style and font size used for printing the information on the place card. When printing out this place card, you may also use different types and colors of card stock. In this way, you will have total control of how the place card looks. It is also best to consult a wedding planner beforehand to know if the color you have chosen matches with the specific color palette that was chosen for your own wedding. The Elegant Monogram Wedding Place Card Template is an example of a simple yet elegant wedding place card design. This type of place card will best suit those who are planning formal wedding ceremonies and receptions. The monogrammed letters on the template may be changed to match the couple’s own initials. 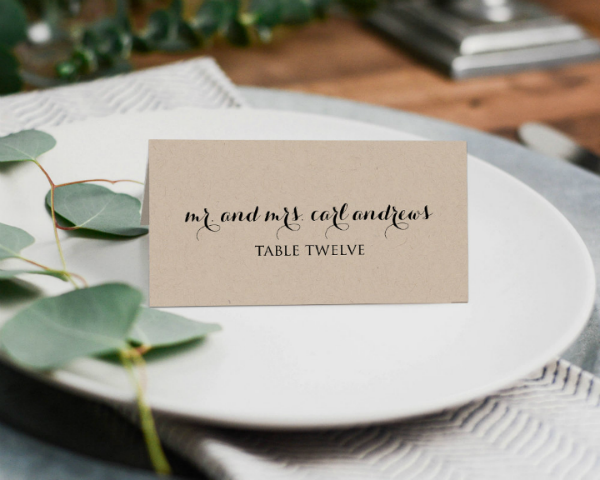 The name of the guests and table number may also be pre-typed and then printed out along with the rest of the place card design. Or, they may also be handwritten after the place cards are printed. Just remember to ask someone who has a good handwriting and/or someone who knows how to do calligraphy lettering to write the names on the place cards. 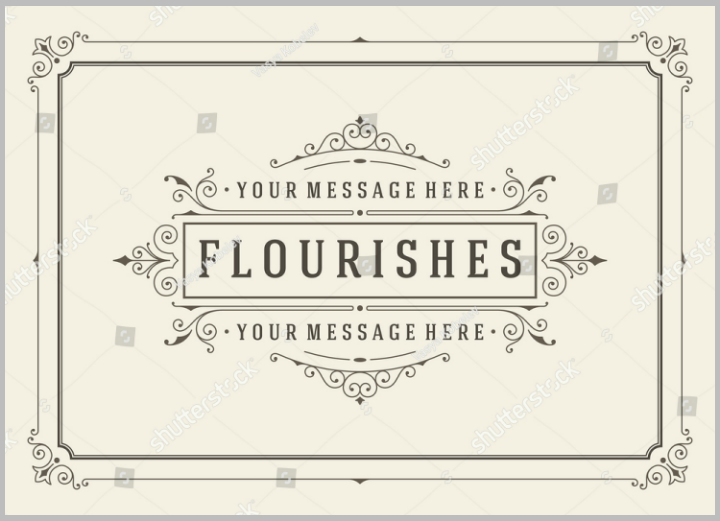 For those who want a more festive-looking wedding card design, choose the Floral Wedding Place Card Template pictured above. 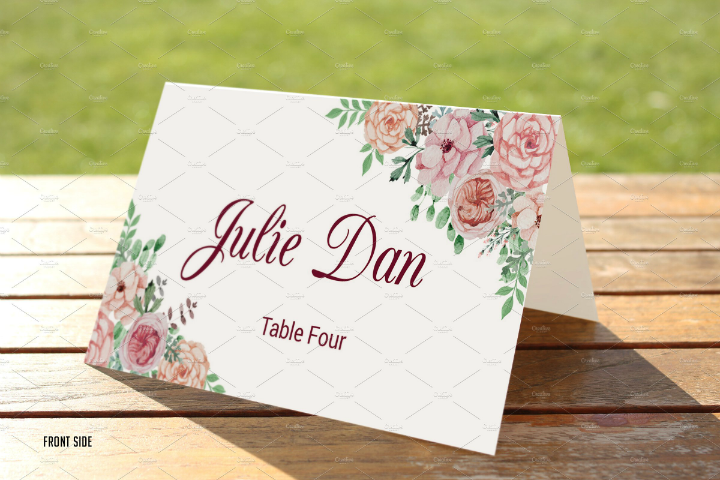 In this place card template, wedding planners and designers may easily change the guest names and table number using the Photoshop file that the template comes in. You may need to do this manually for each place card prior to printing out all the place card templates. This type of place card template will work best for weddings held during the spring and summer months. Why use wedding place card templates? Reduce time spent on designing wedding cards. Pre-made design templates are primarily meant to help designers save time on creating card projects. So when you use a wedding place card template, you undoubtedly save some time in designing a place card. 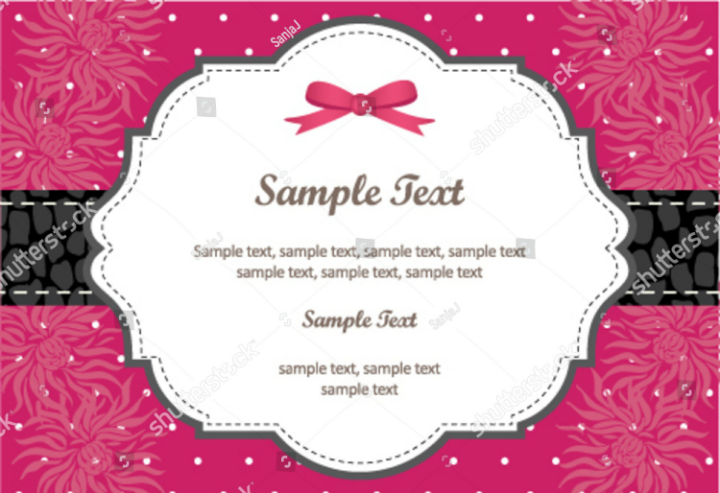 Typically, creating a place card will involve 1) designing a place card template using Adobe Photoshop or InDesign, 2) printing out the place card template and 3) placing design touches or cutting out the individual cards. However, if you use a template, you do not need to follow the first step. And the time freed up with this method may then be spent in making sure that each place card is cut out and designed well. To simplify the wedding preparation process. Another reason why you should use wedding place card templates is that they can help you simplify the entire wedding preparation process. Before a wedding can occur, a lot of minor tasks need to be completed. Creating a wedding place card is just one of these tasks. So if you want to simplify the entire process and devote as little time and effort as possible to this task, using place card templates is a good way to go. This way, you do not have to worry about creating the card templates yourself. 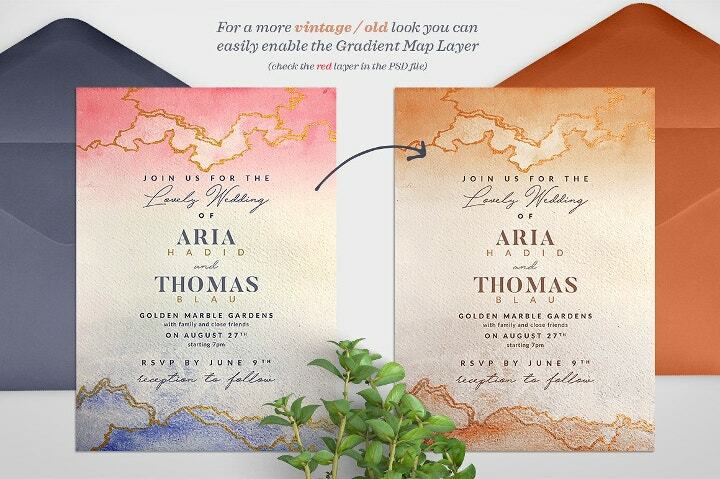 To coordinate all printed wedding invitation materials. Place cards are not the only things that will need to be created and printed out before a wedding takes place. Other items like invitation cards, RSVP cards, table numbers, envelope designs, signage, etc. will also need to be created. To make this process easier and ensure that all your printable wedding cards follow a uniform appearance and design, it is best to use a pre-made wedding card template. 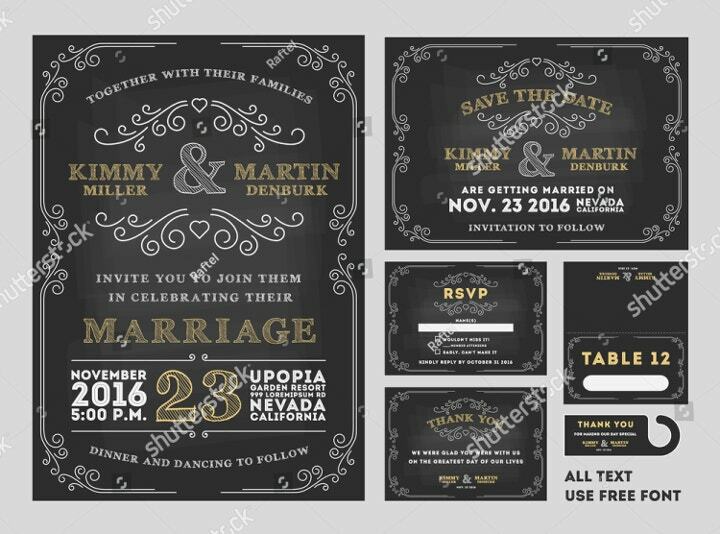 These days, there are a lot of wedding invitation sets that will already include all these card design templates so it would really make the life of a wedding planner easier. To supplement creative skills. 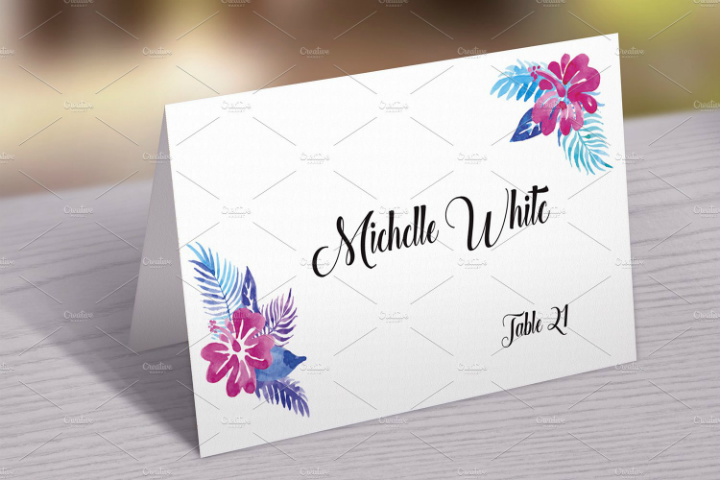 Being able to add upon one’s creative skills through place card template design is another reason why you may need to use pre-made card templates. Not everyone is artistically gifted and creating handmade card designs may be an issue. Also, wedding events require that place cards are created for all wedding guests. So if you are thinking of handcrafting many place cards, it may not be feasible. In order to preserve creativity and save time, using pre-made wedding place card templates is a better alternative. 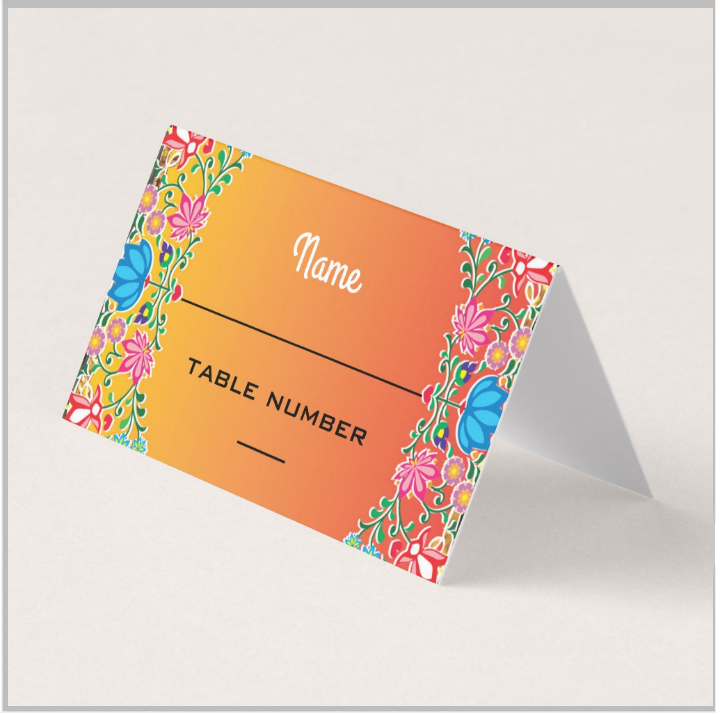 There are now place card template designs that are as creative as handcrafted card designs. Choose the Kraft Wedding Place Card Template if you want a quirky touch for your wedding’s place cards. With this place card template, you need to use light brown card stock or thick kraft paper in order to achieve that rustic effect. 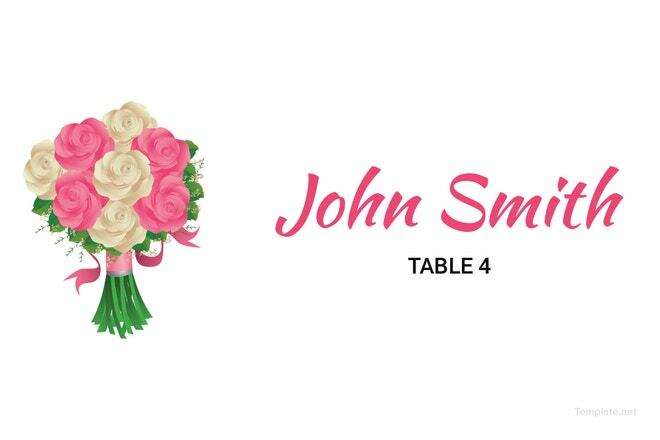 You may also use your own wedding logo design (if available) to make the place card more personable. As shown above, the Custom Wedding Place Card Tag Template follows the shape and structure of a gift tag. What sets this place card template apart from others is the printed information on the card face. As with all place cards, it reflects the guest name and table number information. 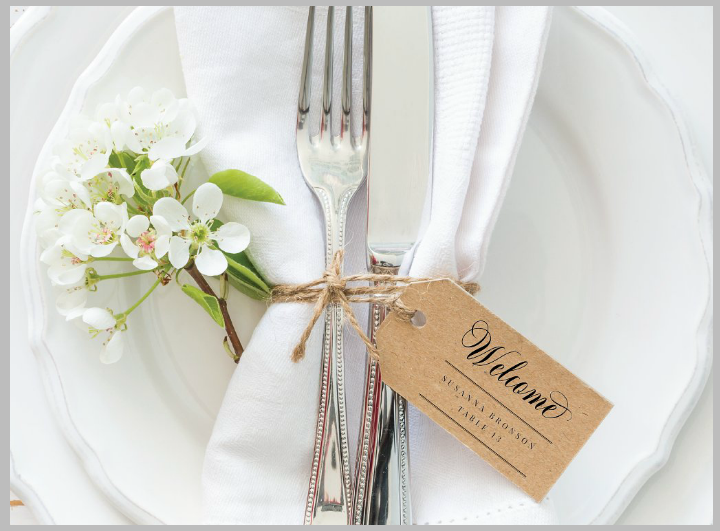 And since the place card is designed like a gift tag, it is best tied with the dining utensils for guests to see right away before they sit down at their assigned seats. The Golden Marble Wedding Place Card Template Set is another creative place card template that will best fit weddings that follow a watercolor palette. 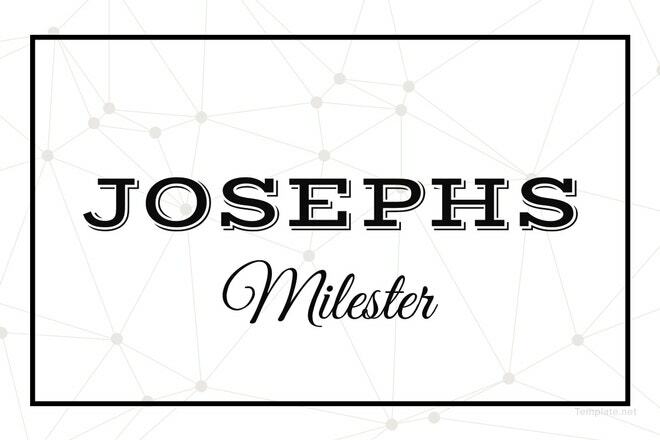 To recreate this wedding place card template, make sure to use plain card stock or paper. This way, the watercolor design will show well on paper. The Rustic Wedding Place Card Template pictured above is best used for weddings following a rustic or retro theme. With simple border frames, this card design can easily be recreated using simple word processing software. 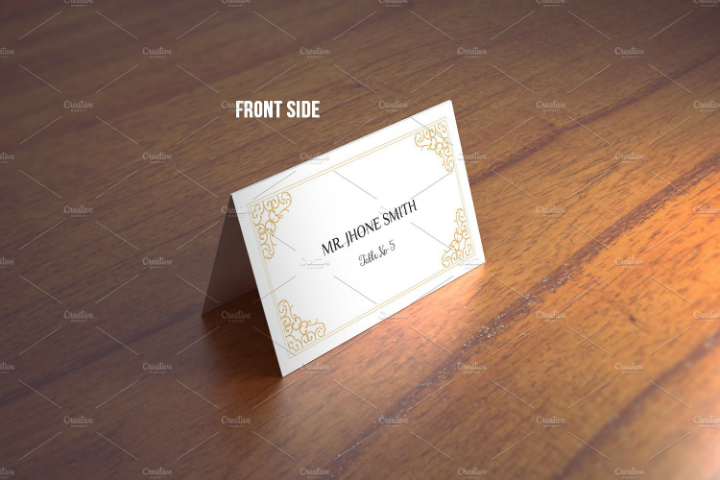 But if you want to add more design elements to the place card template, you may need to have Adobe Photoshop installed in your computer. For those who want to use their wedding place cards as focal objects in their dinner plate settings, using the Whimsical Vines Wedding Place Card Template may be the way to go. This place card template features a flower design in the card template combined with a matching elegant typeface. All these design elements are colored deep dark purple. This helps create a feeling of sophistication and luxury in the place card and any object that may surround it. To recreate this handmade card design, you may need to use plain white card stock and make sure that your printer has good print quality. The letters and images need to be printed clearly and vividly.